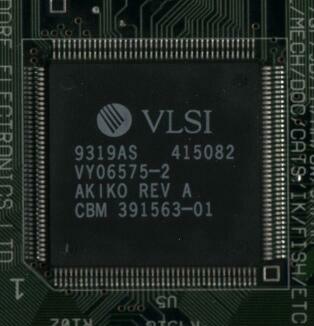 The Akiko chip is only found in the CD32 and is primarily responsible for peforming the chunky to planar routines. The Amiga's native display is known as "planar" and planar displays are easy to manipulate for things like scrolling, however "chunky" displays are particularly easy to manipulate for things like 3D graphics routines. The Akiko chip allows the chunky to planar conversion to be done in hardware, instead of software which would otherwise slow the system down. The Akiko is also responsible for implementing some of the control logic for the built-in CDROM, as well as for controlling the serial, "AUX" port on the CD32.